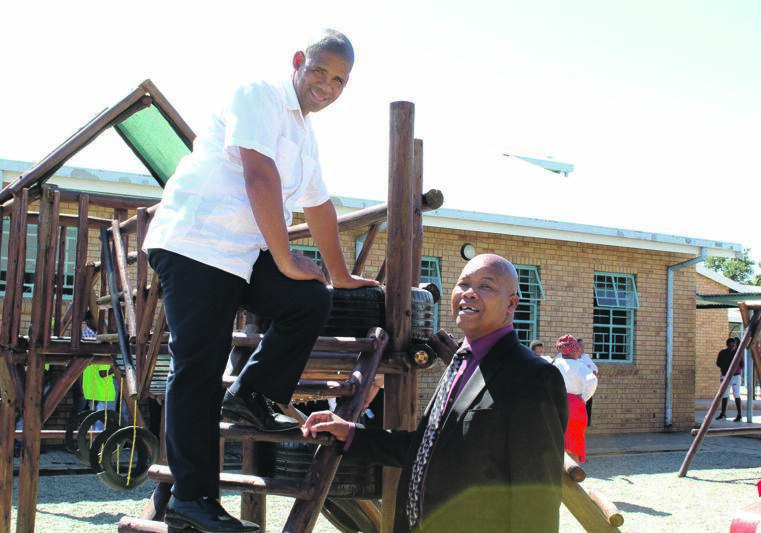 NORTHERN Cape Transport and Safety MEC Lebogang Motlhaping honoured Refentse Seretsi with a playground named after him. The nine-year-old boy died in a tragic bus accident outside ER Mocwaledi Primary School in Pampierstad last year. Motlhaping started at Nkandla squatter camp in Hartswater to hand over a new home to the Seretsi family. The MEC said: “To honour Refentse’s memory, we are paying tribute to his life with a project which lies very close to my heart. “We realised the school not only lost a pupil and the community a child, but his parents and family lost a part of them,” said Motlhaping. He said the department built a recreational centre and playground to give pupils a safe, vibrant and secure area and to give teachers peace of mind. “This will also afford communities which do not yet have such facilities a chance to enjoy them in this secure learning environment,” said Motlhaping. He said the project was made possible through donations made by De Beers, the Free Station Department of Education and the school.